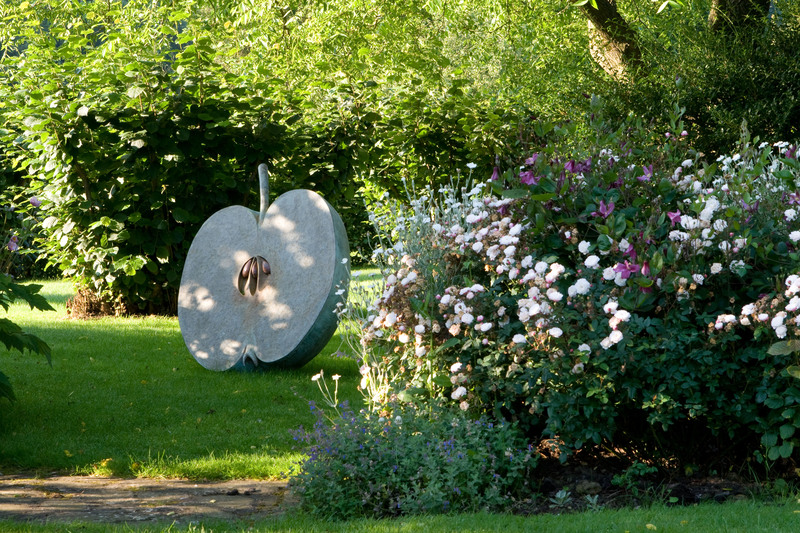 Timbers is a quintessential English country garden built on what remains of a Kentish Cobnut plat. The 100 year-old trees enclose the 5 acre garden, providing a good habitat for wildlife and still produce a good crop of nuts. The constant application of home made compost during the past 10 years to the poor thin top soil over ragstone is beginning to pay dividends and many plants are starting to thrive. The island beds are stocked with unusual hardy plants, many grown from seed, and shrubs together with mature specimen trees such as Koelreutaria paniculata, Juglans nigra and Morus alba. The thin topsoil has proved beneficial to the wild flowers in our meadows, they love the poor conditions. 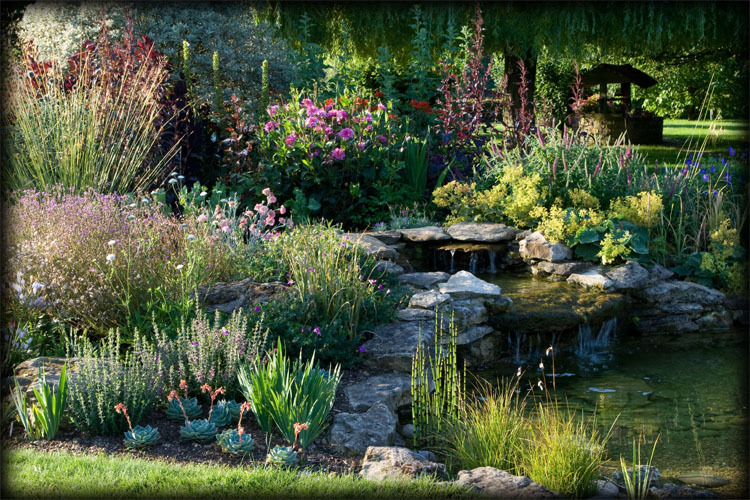 Sculptures and statuary are important to us and are used to good effect as focal points within the garden. A longstanding interest in flower arranging has given me a good insight into colour combinations and garden design. I try to place plants where they are happy but am always conscious of form and colour. My gardening experience has come very much from trial and error and after many years tending this plot, I'm still learning. We are always happy to welcome fellow gardeners so please come and visit us. The garden is open by arrangement under the National Garden Scheme during the months of April, May, June and July. We are happy to welcome groups with a minmum of 20 visitors and coach parties. Entry to the garden is £6.00 which includes a comprehensive plant list.